The trees still have leaves, the flowers still have blooms and fall is in the air. All that changed abruptly yesterday evening, when winter suddenly arrived. A day of howling winds was the harbinger of the end of a brief autumn and the beginning of an early winter, and after the winds came the snow. By Saturday morning about three micronortons (7 cm) of snow blanketed our little country, and, we suppose, the big country just beyond as well. 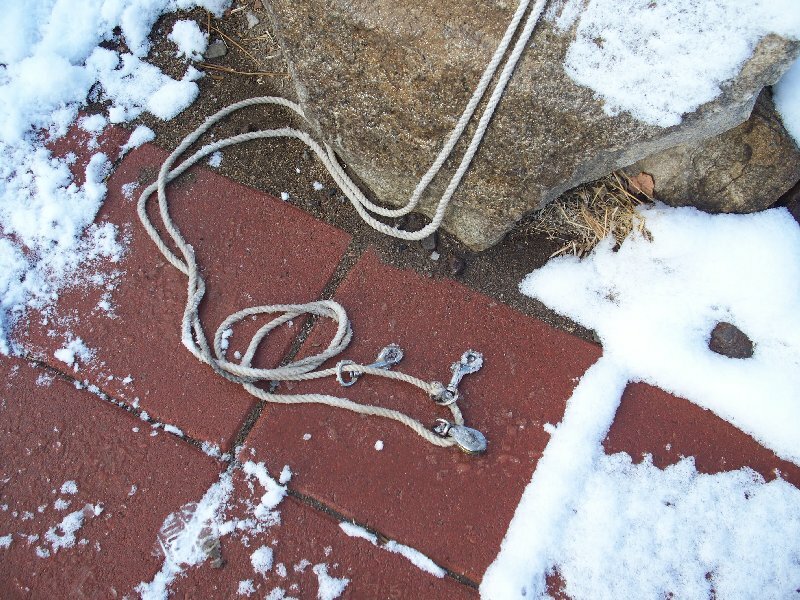 In addition to the snow, the wind broke the pulley on our national flagpole, meaning the flag is not flying, and won't be until repairs are made. The still blowing wind makes climbing the flagpole dangerous, so repairs will have to wait for better weather. And that may yet arrive. This storm is rather early, even for our mountainous region, and the snow will soon be gone. By the end of October, however, all bets are off, and we may yet again see snow. 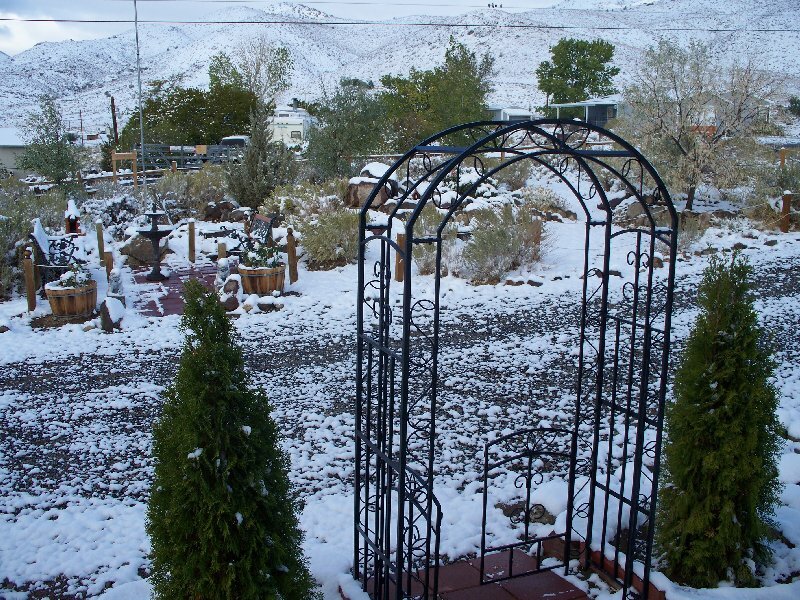 Molossia usually averages one decent snowstorm a month during the winter season, which lasts from October through March. 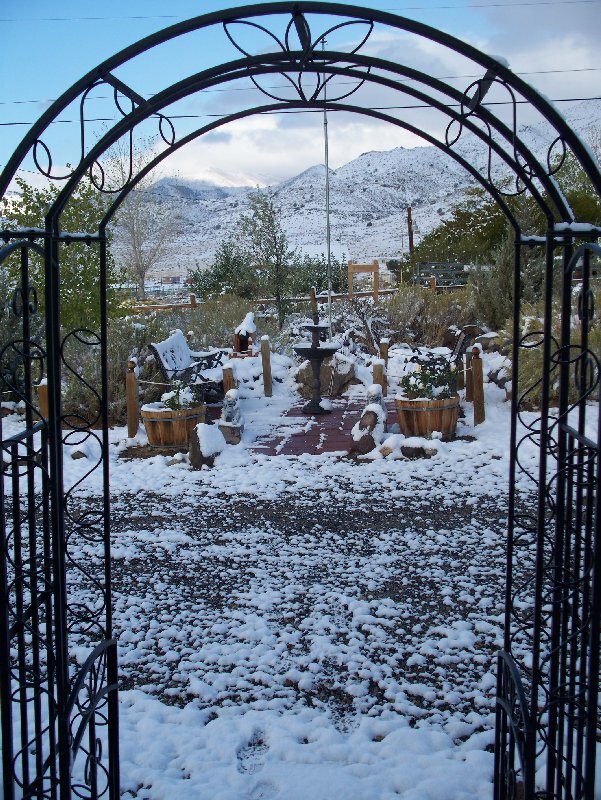 A storm this early in the year is unusual, but mountain weather is tricky. It was just this sort of unruly weather that trapped the Donner Party in the nearby Sierras, and doomed them to their fate. 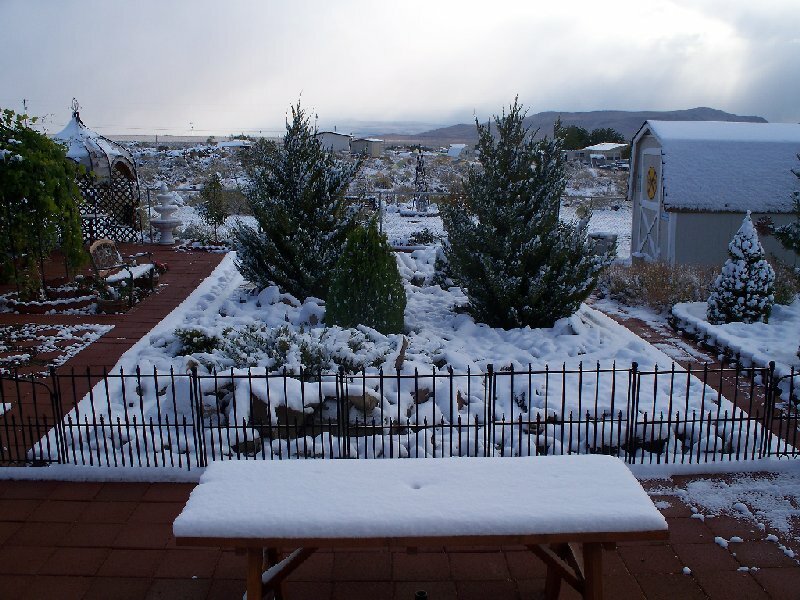 While Molossia is in no danger of cannibalism, the snow and the cold has driven us all indoors for the time being and has certainly necessitated a shift toward the sedentary lifestyle of the winter months. Hopefully, the weather will warm again, if only briefly, and autumn will return - before winter comes to stay.